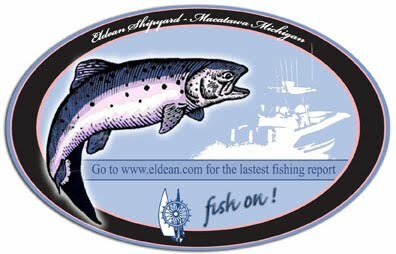 I'll be adding this blog to the Eldean Fishing Report this year. Hopefully it will be a good way to get additional fishing reports out there so everybody can catch a few more fish. The ice has started to melt and some of Lake Macatawa has opened up by the Channel. Only a couple of months left to get your gear tuned up for the upcoming season. I'm adding a subtroll this year so I can better track temp and speed at the ball.